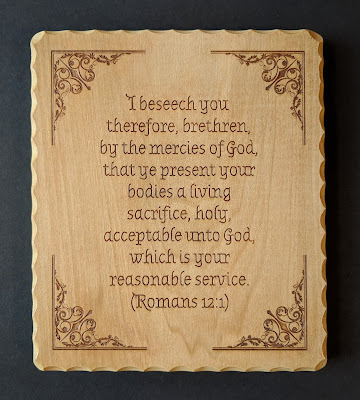 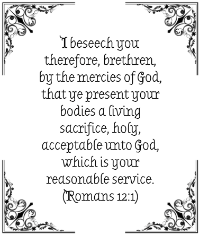 This was a commission for a plaque featuring a verse from the letter of Paul to the Romans (Romans 12:1). 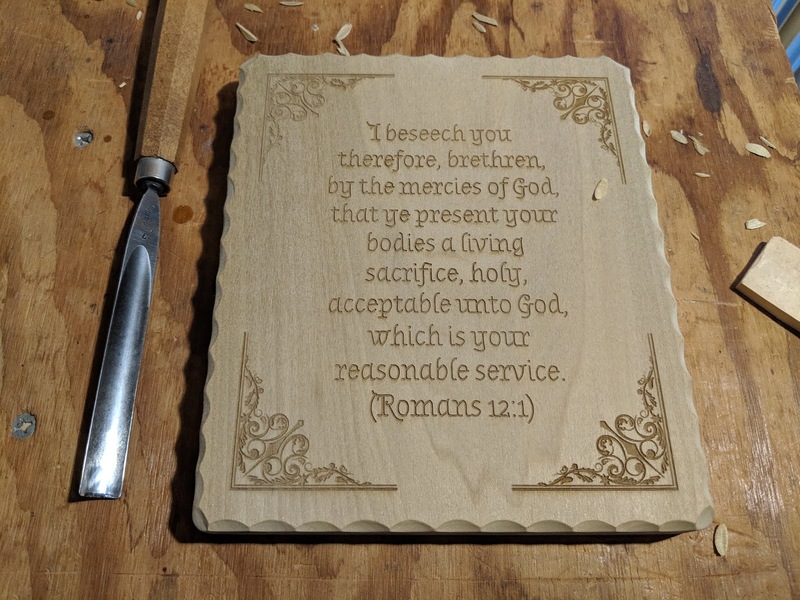 It started with a design laid out on the computer using the Inkscape application. 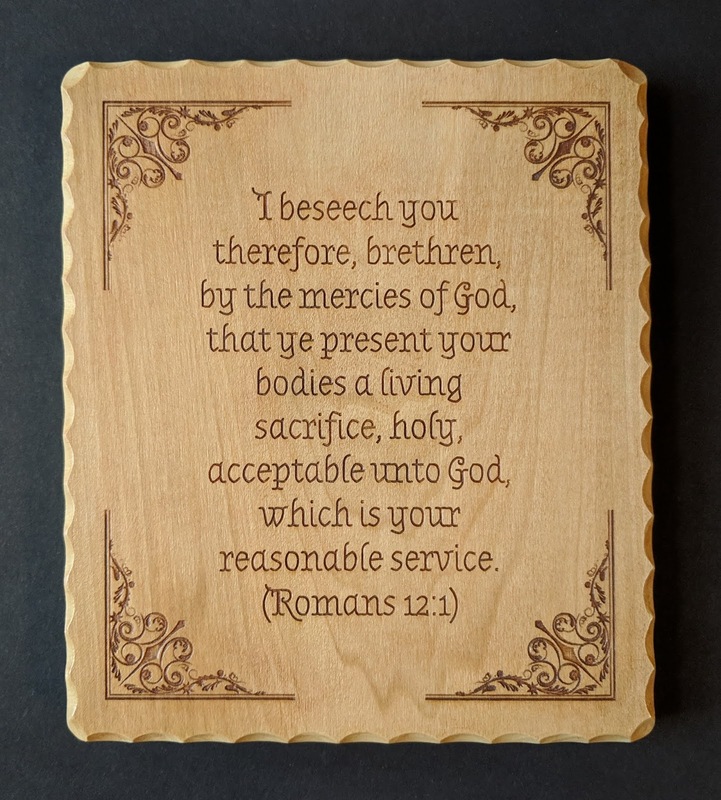 This design file was then used to engrave the image on a piece of poplar with a laser engraver. Then the wood was cut to size and the border carved. 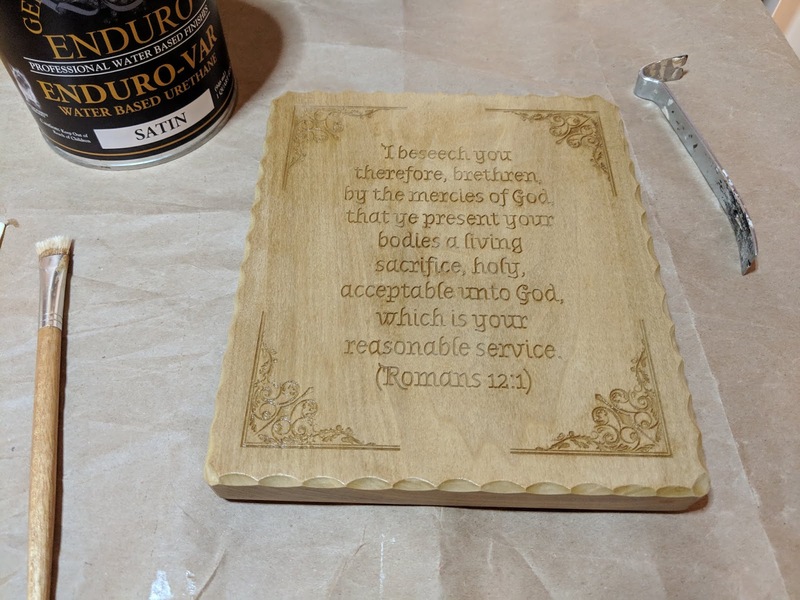 I sealed the carving with four coats of Enduro-Var water based urethane. 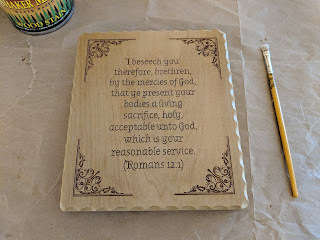 After that, I used a Shaker Maple stain to accent the lettering and corner designs. 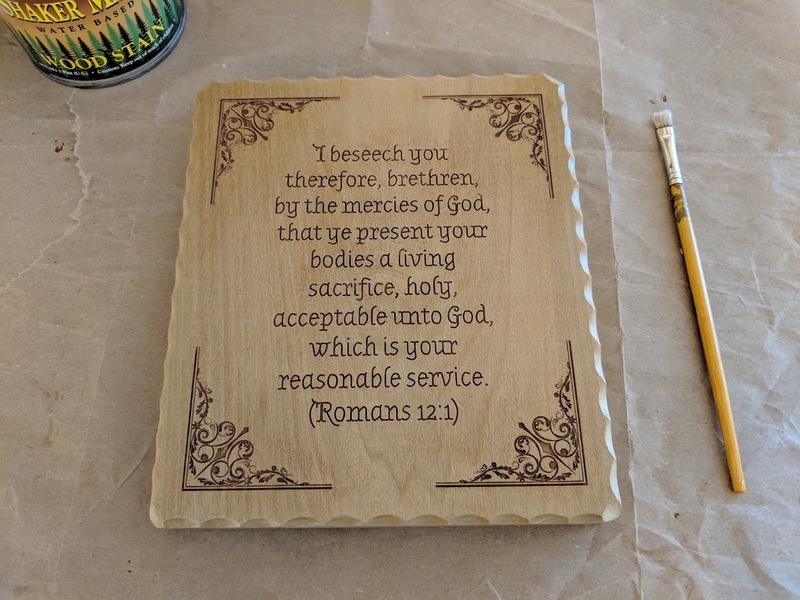 I hope you enjoyed this summary of what went into making this piece. Please let me know if you have any questions about the process.